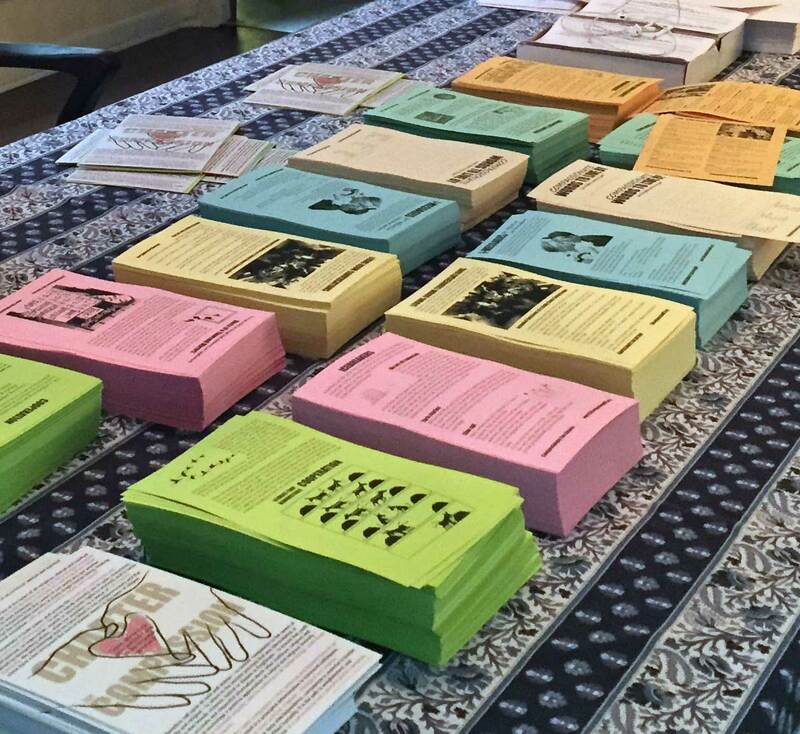 The Neighborhood Compassion Toolkit is a set of practical tools that neighborhoods — or any group — can use and re-use. There are exercises to help you communicate better, cooperate to get things done, get to know each other, discuss difficult issues, interact with people of diverse backgrounds . . . and it’s all fun! There’s even an activity sheet for kids of all ages. 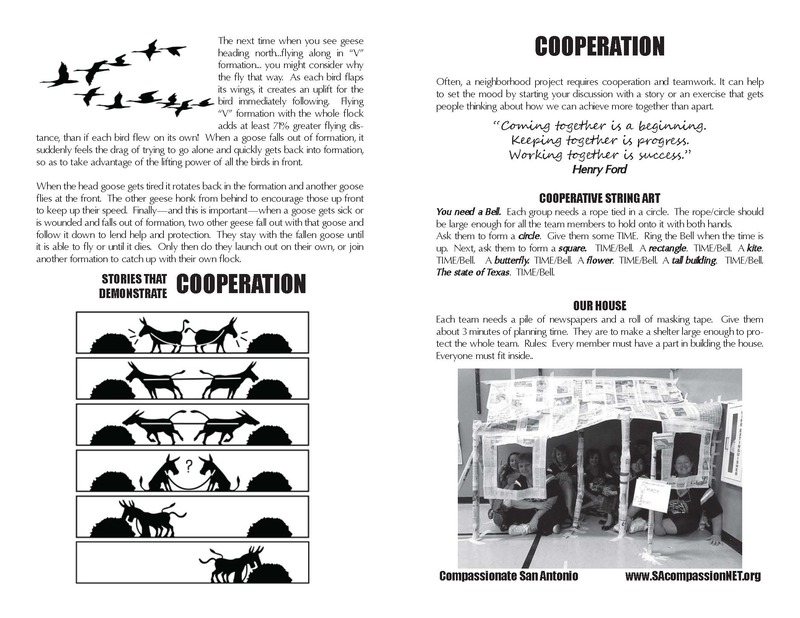 Compassionate San Antonio / the peaceCENTER developed this packet for the Neighborhood Conference hosted annually by San Antonio’s Neighborhood Resource Center. We printed ours on both sides of colored cardstock and cut them in half. This is our setup for collating the 16 tools (8 cards) into 6″x9″ envelopes. You can use them one at a time — just pull one out when you need one. This file consists of 8 pages, with two tools per page, as shown in the sample page pictured to the left. All the pages are in black & white. You can print them just as they are, but if you want to print them double-sided, run the pages through your printer or copy machine to print one side, then flip and turn the copies to print the other side. Then, cut the pages in half.